It’s that time again, Spring is here, birds are starting to chirp, and the flowers are beginning to bloom. The signs of spring also means finals are approaching and so is graduation. The planning takes time but the invites shouldn’t be one of the things you are stressed about. Basic Invite carries a huge array of beautiful options at amazing prices! What makes Basic Invite different than others? Basic Invite allows customers almost unlimited color options with instant previews online. You first select a design then you can change the color of each element on the card to over 180 different color options. I loved being able to customize my design and see a preview so quickly. 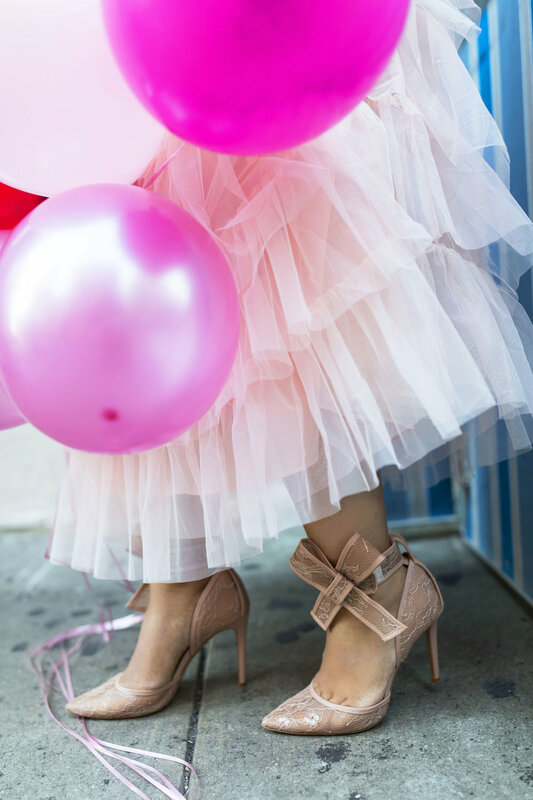 Basic Invite allows you to achieve exactly what you want down to the littlest detail. Other vendors don’t have a color range as wide as theirs. 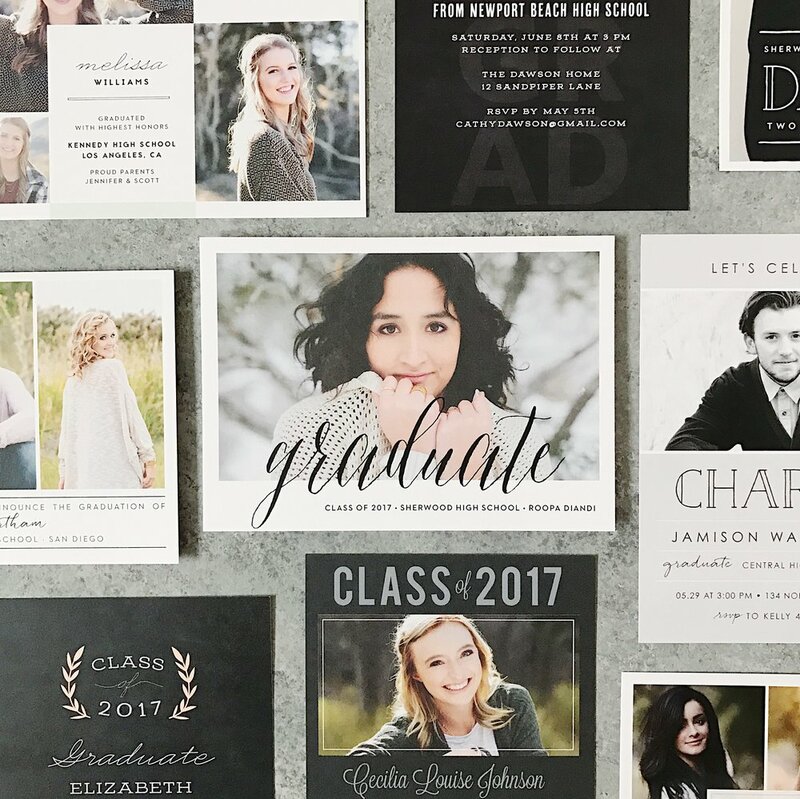 Not only is Basic Invite a luxury experience, you can still get affordable graduation invitations exactly how you want them. Have you ever create a beautiful card or invite but did not want to commit to buying 100+ without seeing it first? Or worse, bought cards to find out they look awful in real life? 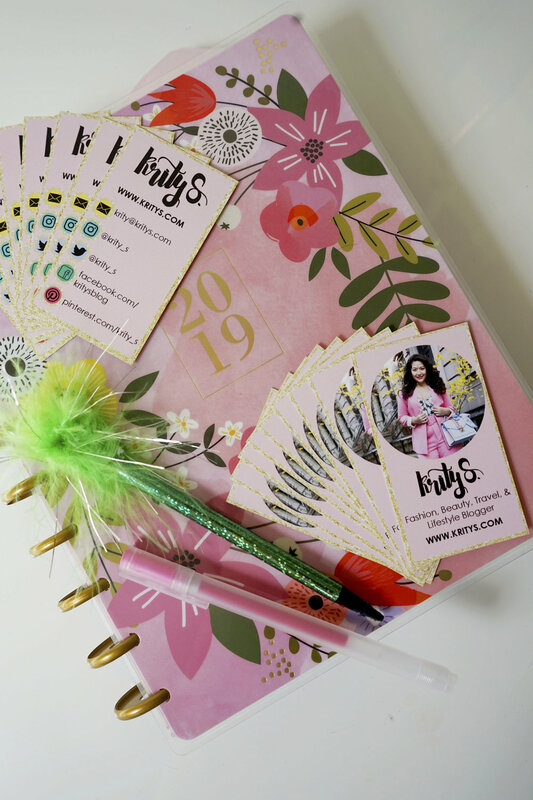 Basic Invite allows customers the ability to order a printed sample of their actual invitation so they can see exactly how it will print as well as the paper quality before they ever have to place their final order. I LOVE this feature because the wonderful thing about real life cards are the feeling of them. You can change details from color to the paper quality after you receive your sample. 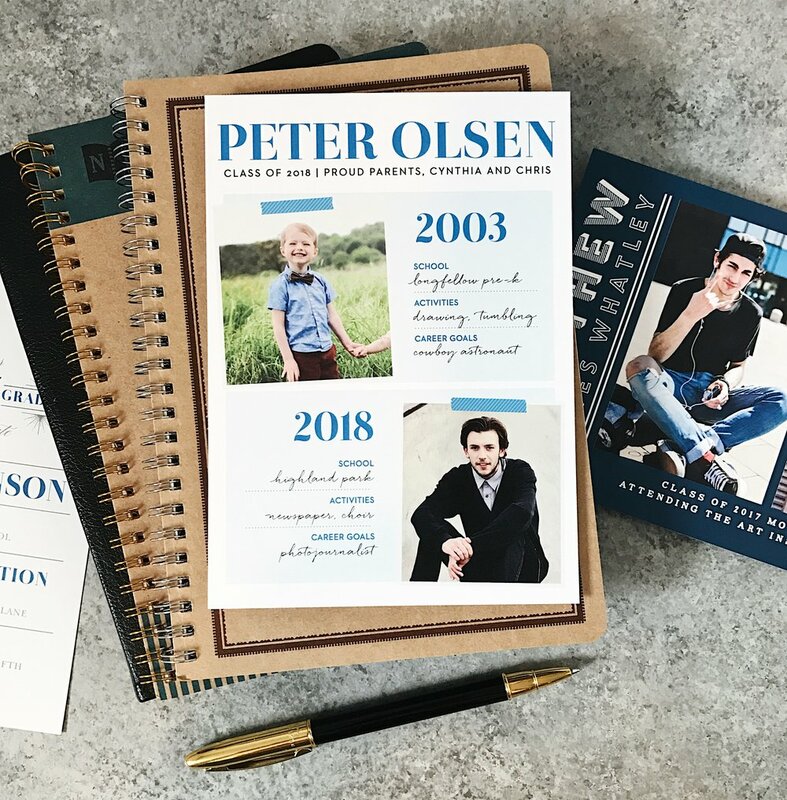 You can host a surprise graduation party invitations without the surprise of what you invitation will look like! Basic Invite seals the deal beautifully with their envelopes, making the invitations feel extra special. Customers can choose from over 40 different colors when it comes to their envelopes. 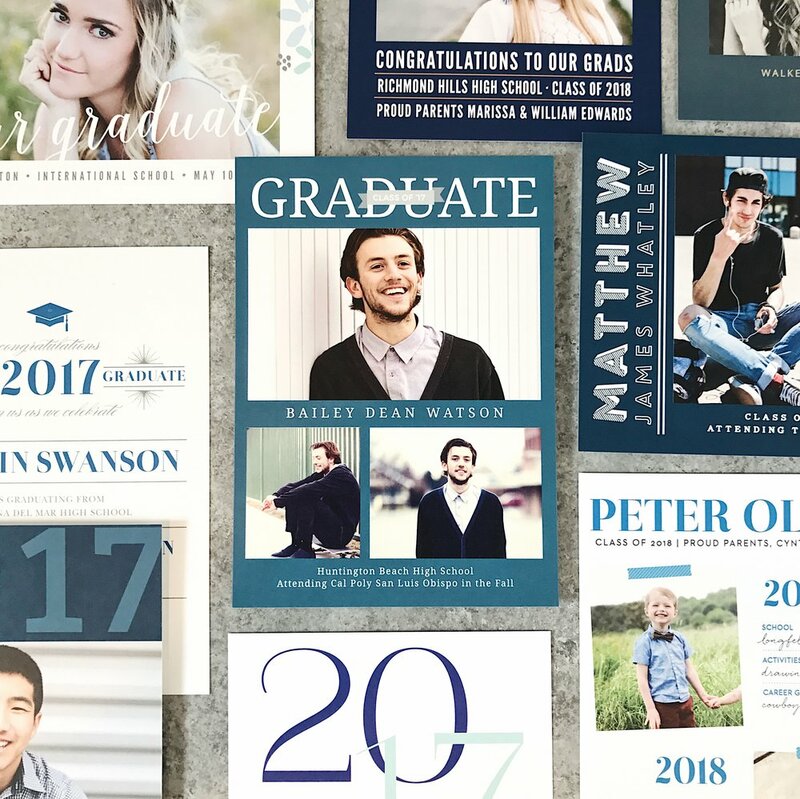 You’ll have everyone attend your graduation party with these college graduation party invitations options! Do you ever get overwhelmed when collecting addresses? Well, Basic Invite offers an address capturing service that allows customers to simply share a link on Facebook, Twitter, Instagram, or any other form of social media to request their friends and family’s addresses. These addresses are securely stored in your account without stressing! During the design process, you can easily select the address. So cool right? Basic Invite also offers recipient address printing at no cost on all card orders!! I’m all about being extra! Foil cards are available in gold, silver, and rose gold. Customers can choose flat or raised foil on all of Basic Invite’s foil designs. The options are so great! I recently have been on a kick to work on my branding, making it more “me”. Over the last few years, I have grown personally so I wanted my new business cards to reflect that. Basic Invite was so helpful in this journey because the site is so seamless to use! I also found that the prices were very affordable, especially for the quality! I created my own design and inserted into their blank template. It took no more than 5 minutes total to checkout and the cards were at my doorstep in less than a week! I am beyond happy with my new business cards and can’t wait to create future invitations and cards! This time last year, I had a job I hated, was head over heels in love, and didn’t know what I wanted to do next in my life. 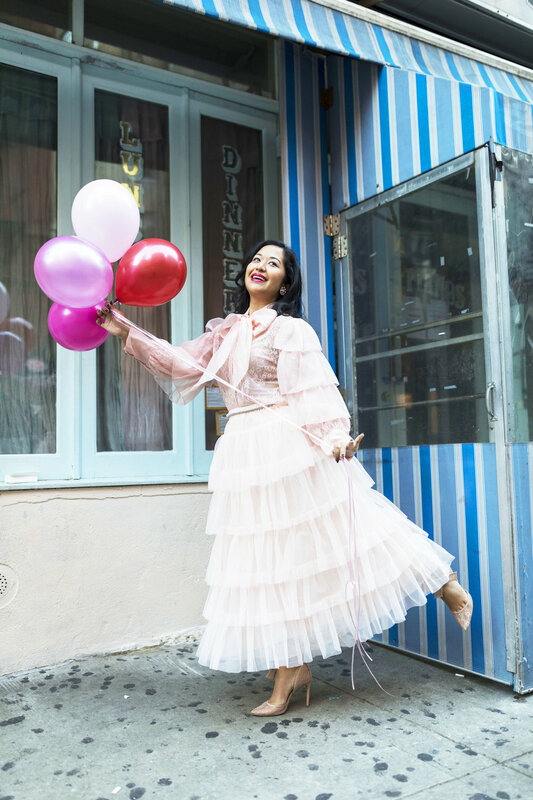 Today, I am a year older, possibly a little wiser, have a new job that I don’t hate, single, and motivated to find what is next for me in this thing called life. A year ago there were a lot of changes going on in my career. I had a job that I hated! I didn’t hate the work I did, I actually enjoy designing, but I felt unappreciated and taken advantage of everyday. Day in and day out, that began to take a toll out in me. I left work feeling unhappy and angry. Every morning I woke feeling so unmotivated and dreaded walking into those glass doors. At the same time, I was comfortable and could do my job in my sleep. It was easy and not to brag, but I was damn good at it too. Trying to find a new job just seemed like more work and truthfully I was too lazy to put in the effort. But earlier this year, something clicked and I was like “I NEED to get the hell out of here”. It was made clear that I wasn’t taken seriously and I never would no matter how hard I worked. I learned a huge lesson- when a new role opens up at work and additional tasks are assigned to you, right then and there, discuss your future with the company and discuss compensation. I failed to do that because I assumed it was coming. Remember, you all deserve the world and to feel appreciated! Ask yourself, would you treat you the way your employer is? If the answer is no, then you need to find somewhere/ someone who will. I decided to finally do something and began interviewing again. I got my portfolio together and decided that I was worth it. I was my motivation for a better future. It wasn’t easy but boy was I motivated to do this for myself. Today, I have a job where I am more appreciated and don’t dread walking into every morning. Every job has its moments but I am so much happier. As far as my future goes, I am not sure where I will go or what I will do next but I am excited to find out. How do you move on after you realize that person didn’t feel the same way? Last year, I was in love with someone who I thought I was going to spend the rest of my life with. How do you move on after you realize that person didn’t feel the same way? A breakup is never an easy thing to get over but I truly believe every heartbreak makes you a stronger person. A heart is such precious cargo that people take for advantage. Let’s back up here for a second. I met my ex about two years ago and things were perfect for a long time...until they weren’t. The relationship started going downhill earlier this year. I should’ve seen the signs when I found out he applied for a job in another state behind my back. And I should’ve really ended it when he took the job without thinking about our future. But a part of me wasn’t ready to let go. I’m human and wasn’t ready to admit the relationship was over. I loved so hard that I thought we could make long distance work. I honestly think I could have, but the hard part is that both parties have to want it bad enough to make it work. I quickly learned that I was the only one who wanted a future for us. That was a really harsh fact to learn (even though I think I knew deep down inside the whole time). I think the hardest part was losing my best friend or who I thought was my best friend. In the beginning it was difficult not having him there to talk to all day long, especially things that were special between just us two. I felt like I was lying to the world every time I smiled. It was a rough time. But the truth is, I feel less lonely now than I did when I was in a relationship. I feel free and more myself than when I was in a relationship. It doesn’t quite make sense but sometimes it feels lonelier when you are with someone who isn’t mentally or emotionally there in the relationship. I learned a lot from my ex. I learned that I do want to have a family and build a life with someone. That was something I didn’t really see for myself because I have always been an independent woman. Whether that happens for me or not, I still have hope that there is a soulmate for everyone. For anyone going through a breakup- remember you will get through it and love again. Time heals all wounds and you have the power to find yourself after a heartbreak. If you are going through a breakup, here is a playlist I created that really helped me. I am so grateful for all the wonderful people who are still in my life today. I have family all over the world who are there no matter what! I have friends who I feel are my sisters that help me get through the biggest emotional hurdles. Last but not least, I have my blog and all my readers who motivate me everyday to share my story. My heart is so full of love because of all of you. I’m happy to influence even one person because you never know how one action can change another person’s world. 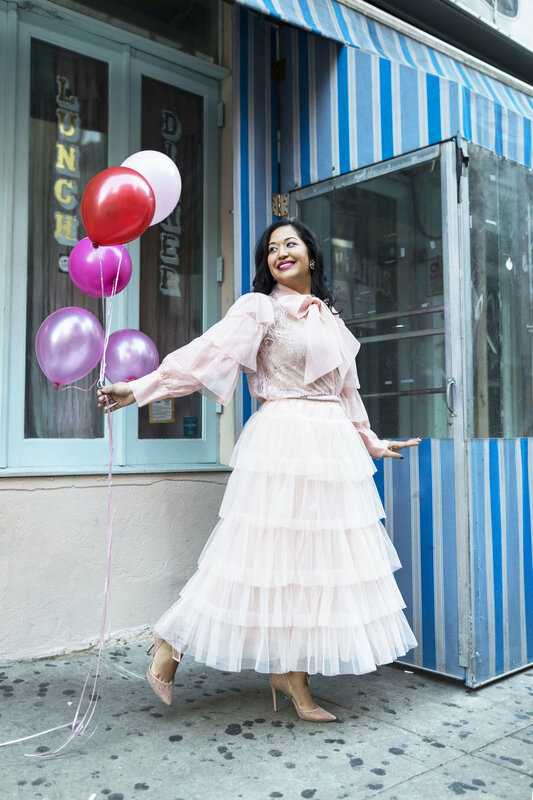 I am so blessed to see another year and I can’t wait to share more with you this year. Thank you from the bottom of my gushy heart to each one of you! !